To obtain access to each site a key is required and can be collected from the Gundagai office. A $20 key deposit is payable on collection of your key and will be refunded if/when you choose to return it. Each transfer station is available for use by key holders 24/7 and accepts general domestic waste and recycling products only. 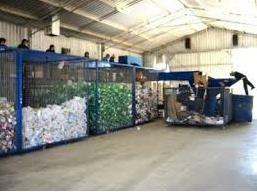 All other waste, including commercial, must be taken to the Gundagai Burra Road Waste Depot. Opened in late September 2005, the Waste Transfer Station has been designed to receive the town’s putrescible waste, which is then compacted into a haulage trailer for delivery to the Bald Hill landfill site near Jugiong. The transfer of waste to the Bald Hill site is an initiative of the South West Regional Waste Management Group which involves the Councils of Yass, Hilltops, Snowy Valleys and CGRC. This initiative has significantly reduce the number of landfill sites required in the south west region, therefore promoting environmental sustainability for several Shires. There is also a recycling facility at the waste depot and it is a goal of Council to increase recycling within the Shire, thereby decreasing the volume of rubbish processed by the Transfer Station and placed in landfills. This will have a positive impact on the environment and promote financial savings for Council.